Our range of products include elasto 710 rubber process oils. 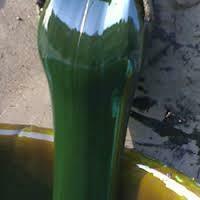 We are genuine suppliers of industrial as well as automotive products of hpcl oils manufactured by hpcl. We offer test certificate issued by hpcl lab. Rubber process oil srubber process oils can be broadly classified into three basic groups depending on the physical arrangement of the carbon atoms namely ,parafinics , napthenics and aromatics. All petroleum oils are mixtures of various hydrocarbon groups and their classification is arbitrary and is based on the predominance of a particular hydrocarbon group. Hp elasto 165, 245,255predominantly paraffinic rubber process oils suitable for use as plasticizers. Elasto 165 and 255are highly paraffinic. Looking for HPCL Rubber Processing Oil ?